Norma J. Sidle, 79, of Montpelier passed away early Friday, November 30th at the Defiance Area Inpatient Hospice Center. She was born on August 1st, 1939 in Montpelier Ohio to Julius CE and Arlene (Clark) VanStaen. Norma attended Montpelier High school. She married Robert W. Sidle and he preceded her in death, January 13th 1998, and also preceded in death by her parents. 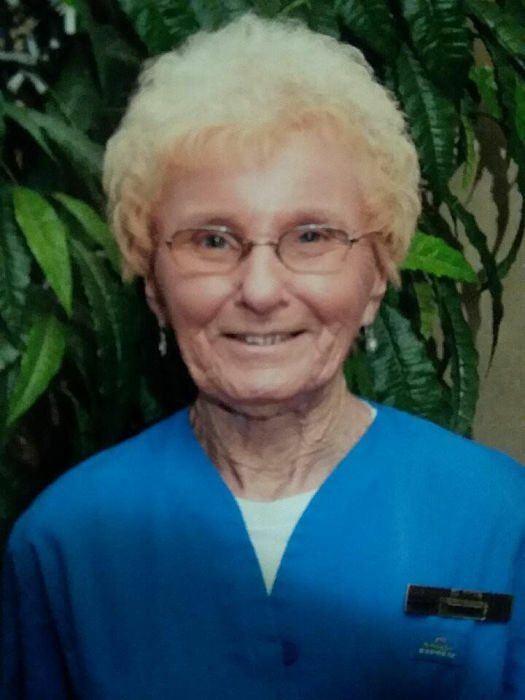 As a child, Norma was a member of St. Paul’s United Methodist Church in Montpelier, and later in life attended Grace Community Church of Bryan, Ohio. Norma is survived by her son Danny L. Sidle of Montpelier OH. Daughter Diana L. Sidle of Montpelier OH. Four grandchildren; Lisa (Scott) Lentine of Fenton, MI. Danielle Sidle (Jake) of Pioneer, Tiffany Sidle of Bryan OH, and Travis Whaley, of Montpelier OH. Great-grandchildren Kaitlyn, Nathan, Timothy, and Connor (Lisa), Audrey, Bradley, Jozlynn, and Sydney (Danielle), Rylee (Tiffany), Sister Hellen (Clarence Jr.), brother David (Paige) Miller, half-sisters Cindy (Richard) Radamacher and Carol Sue (Rod) Jordan. Memorial contributions for assisting the family with final expenses at Thompson Funeral Home (204 E. Main St. Montpelier, OH. 43543).